Hello! 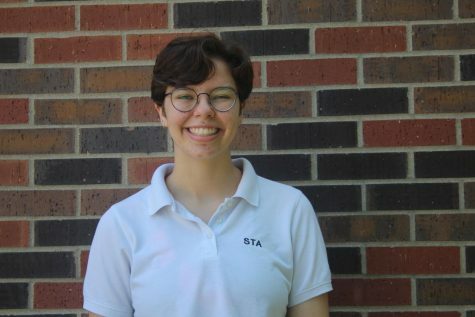 I’m Julia Kerrigan, co Editor-in-chief. I’m so excited to be on this staff for a third year so I can keep making content in the form of stories, videos and graphics. When I’m not muttering to myself while working on a page design, you can find me recruiting people for the Math Team (by the way, join Math Team). By far the best part of writing news is all the endlessly interesting people I meet within the community and beyond. I’m all about hearing other peoples’ stories, so feel free to approach me and I can guarantee I’ll listen before I talk your ear off in exchange. I hope you enjoy the work that my fellow staffers and I produce!